Brassica vegetables, such as broccoli and turnips are not only delicious, but they’re also healthy. Brassicas can be planted in seed trays or directly sown into their final growing position. According to Wikipedia, brassicas are part of the mustard family. They are also known as cruciferous vegetables, cabbages or mustard plants. Some brassicas, you plant directly in the soil. Others are planted indoors and then transferred to the garden. 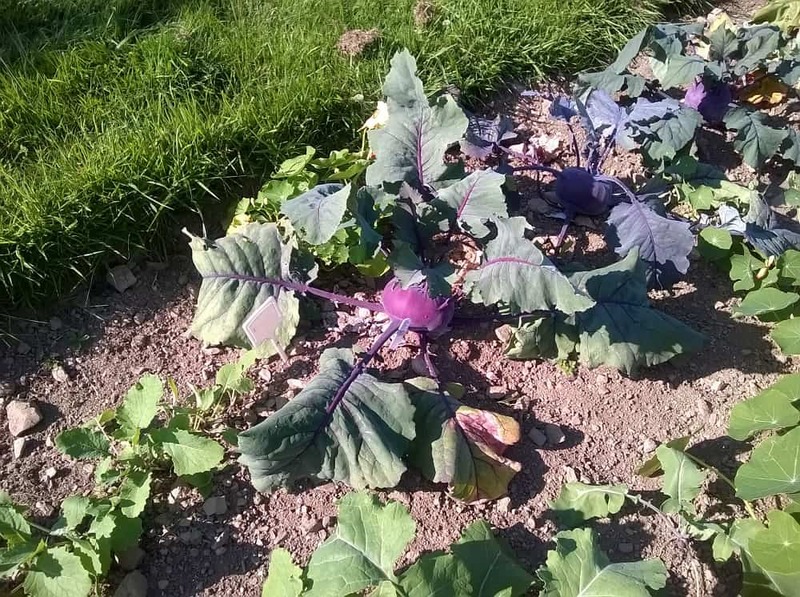 Plant the turnips, rutabaga (also known as swede) and kolrabi directly in the soil from April to August. Sow the seeds about 6 inches apart, and thin out as they germinate and grow. 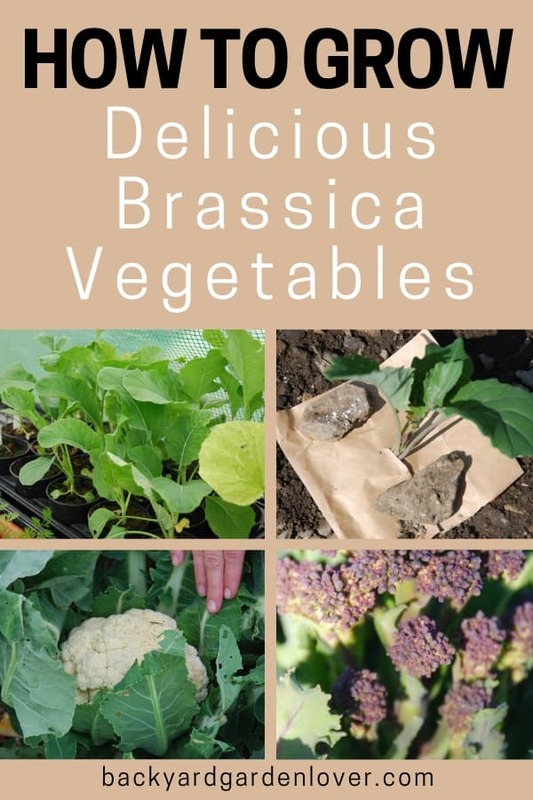 For other brassicas, plant from March onward either in a propagator or on a warm windowsill. Once they have their first pair of true leaves, re-pot them in a small (12-inch diameter) pot and move them to the greenhouse. True leaves are not the first leaves that appear after germination as these are not leaves. They are, in fact, part of the seed called the cotyledon. The next leaves to appear are true leaves. If the brassica plant outgrows its pot before it can be planted outside, it may be necessary to repot it. When potting on, add a dusting of lime to the compost. It will help the seedling make the most of the nutrients available. 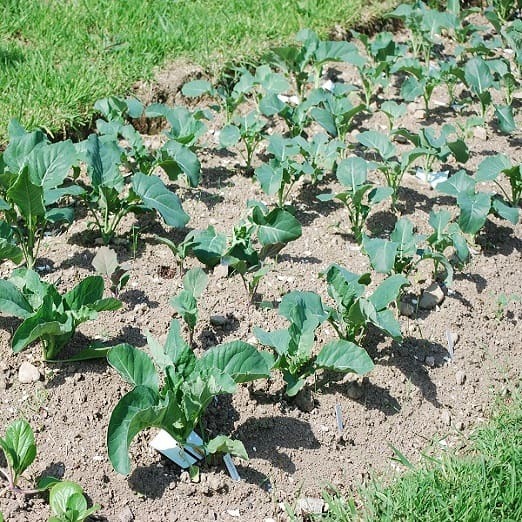 Plant brassicas outside in their final position from mid-to-late April, after a period of hardening off. Be sure to follow the spacing instructions on the seed packet of the plants you are growing. When you plant the brassicas into the ground, bury them deep, so they can establish a strong anchor with their roots. 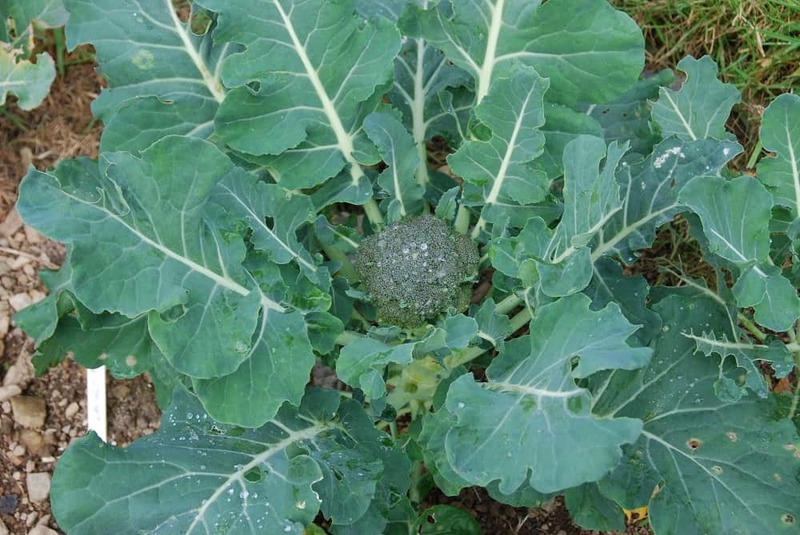 Feed brassicas with a nitrogen-rich plant food once a week as soon as the plants have established. You can use blood meal, pelleted chicken manure or a nettle tea. Our favorite is the nettle tea as in a liquid form it is immediately available to the plants. Growing brassicas is not difficult, but you do need to provide a good, nitrogen-rich soil and be attentive about pests. Some brassicas, such as kale, can provide you with greens year round. When the harvest comes in for each crop, enjoy your bounty. If you learn to store your vegetables, you can eat from your garden all year. Here is a list of the brassica vegetables, as well as some growing and harvesting tips for each vegetable. Mealy Cabbage Aphids are rare. If you do get an attack and it goes unchecked, these sap-sucking critters could cause a problem. They affect the leaves, limiting plant growth. Check the underside of leaves for clusters of aphids. Small infestations are normally kept under control by predictive hoverflies and ladybugs, but if the infestation gets out of control, use a horticultural soap spray to control them. Try planting geraniums, dill, rosemary and alliums as companion plants to your brassicas to encourage hoverflies and ladybirds that will eat the aphids. Caterpillars are brassica pests that can be a nightmare. There are a number of butterflies that lay their eggs on this plant family. The cabbage white butterfly is by far the worst offender. Other than netting your whole brassica bed, you will need to check and rub off eggs on the underside of leaves. If you miss any and caterpillars hatch, pick them off and kill them. Cabbage Root Fly is one of the most damaging brassica pests. It lays its eggs in the soil at the base of the plant. When the eggs hatch, the larvae eat into the roots of the plant, causing irreversible damage. If you do get a cabbage root fly attack, the first sign you’ll have is the plant wilting, and by this stage it is too late. To prevent the fly from laying eggs, plant the brassica through a 6-inch square piece of cardboard or carpet underlay. This technique is completely successful, and I would suggest that you do this for all your brassica family plants. Mosaic Virus is recognizable by the yellowing of leaves. However, it is a virus that is carried by aphids. This means if you control aphids, you will control the virus. Club Root is extremely debilitating to the brassica family. It is a soil-borne disease that infects and deforms the root of the plant. This disrupts the plant’s growth and its ability to take up nutrients. There is no cure for this disease. You cannot get rid of it and the only alternative is to work with it. If you have the club root infection in your vegetable garden, grow your brassica vegetables in pots, repotting as needed until you reach a fairly large pot. Dust the dirt with blood meal and lime to feed the plant and to keep the soil alkaline. You could also feed your brassicas with a liquid nettle tea once a week. When you are ready to transplant the brassica to the garden, dig a 12-inch square hole. Backfill the hole with a little potting compost, again dusting with blood meal and lime, and plant the brassica into the hole. Although this will not stop the plant from the effects of club root, it will allow it to develop and crop before the root becomes too damaged. Unfortunately this won’t work for cauliflowers, and you will have to abandon growing this vegetable. Each of these solutions for protecting crops have a problem. The cardboard collars that protect against cabbage root flies often blow away. Netting plants to keep the butterflies from laying eggs also stop you from weeding as regularly as you should. And slug pellets damage the wildlife that eat slugs. One option is to prepare the soil as usual, then cover it with a weed control fabric and plant seedlings through it. Use stakes or water pipe hoops to hold the netting. 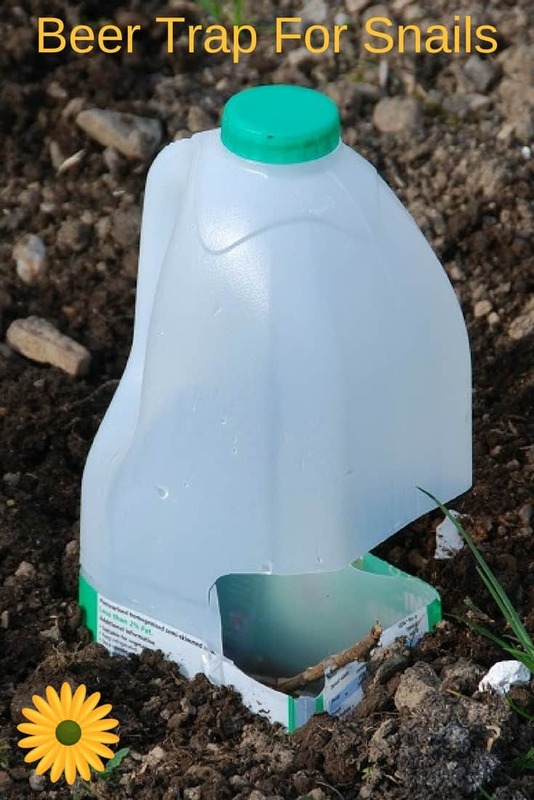 This method will still allow you to use slug pellets as birds and frogs will not be able to access the dying slugs.